Masaru Yamada, Head Therapist/Owner: Massage Therapist with over 28 years of experience in Palm Desert and has a Master of Science Degree in Oriental Medicine/Acupuncture. Head therapist for the Men’s Player Massage at the BNP Paribas Open, Indian Wells for 15+ years. Masaru specializes in: Advanced Sports Massage, Sports Massage for Golf and Tennis, Sports Injuries, Deep Tissue, traditional Japanese Shiatsu – table or floor, Traditional Thai Massage, (trained in Thailand), Myofascial Release, Trigger Point therapy, Neuromuscular Integration and Structural Alignment, M Technique, Advanced Custom massage/Medical Massage, Hot Stone Massage, Soft Cupping and Kinesio Taping. He is also an instructor for Deep Tissue, Sports, Shiatsu, Cupping and Thai Massage. Kelly Yamada, CEO/Therapist/Owner: Massage Therapist with over 28 years of experience in Massage and Spa Management in the Palm Desert area. Specializing in a variety of massage styles including: Deep Tissue, Swedish, Traditional Thai Yoga Massage, (trained in Thailand), Advanced Custom Massage for specific problems, (especially neck and shoulder issues), Hot Stone Massage, Prenatal Massage for all stages of pregnancy and postpartum, Sports Massage and more. Kelly is also a Certified as a Pediatric Massage Therapist, Prenatal Massage Therapist and Infant Massage Instructor. In addition, she teaches classes in Hot Stone Massage, Prenatal Massage, Sticks & Stones and other massage & spa therapies. Stan Remi: Stan has 25+ years of experience in Massage Therapy, Water Therapy Education, Precision Neuromuscular Therapy Education as well as being a Personal Trainer. Stan specializes in Deep Tissue and Sports Massage, Medical Massage for the lower back, rotator cuff, shoulder problems, sciatica, knee replacement post-surgery, golf and tennis performance, rotator cuff syndrome, Psoas rehabilitation. He has been a key member of the BNP Tennis tournament Massage team for many years and was trained as a physical therapist in Poland. Gala Mitchell: Gala has 30 years’ experience with bodywork and holistic healing and breathing work. Her skills and intuition find ways to open those pathways that unwind the body’s holding patterns for a deep state of relaxation. Gala works with a person and their specific needs for the massage that include stretching, rolling and rocking, deep pressure, and rebalancing. Ending a massage with a wonderful head and face massage is her gift of total balance. Bob Galaher: Bob has over 17 years’ experience as a licensed and Nationally Certified Massage Therapist. Bob moved to the Desert about a year ago from Key West, where he had a successful private practice. He also has previous experience working for a Chiropractor and an Acupuncturist. He is certified in Manual Lymphatic Drainage and is highly trained in Deep Tissue and Swedish Massage, NeuroMuscular Therapy and Medical Massage. He is highly experience in results oriented Therapeutic modalities benefitting clients with various pain and musculoskeletal restriction issues, back pain and Psoas release, headaches, PTSH and stress relief. Celine Montgomery: Celine has been a massage therapist for 4 years. Her style combines both therapeutic and Swedish massage to afford relief of constricted muscles with targeted techniques and full relaxation. She especially likes working the neck, shoulders and legs. As an avid tennis player, she understands how beneficial massage is to maintaining a healthy musculature and the positive effects it has on the game. She finds it gratifying to aid in bringing the body back in balance. Specializing in Swedish, Deep tissue, Therapeutic and Prenatal Massage. Penny Watson: Penny has over 12 years of experience working with All About Massage as wells as 10 years working at a chiropractor’s office. Penny understands every person has unique challenges and preferences and prides herself in being able to feel the needs of each individual. Over the years she has specialized in helping many people find relief from various types on pain, specifically head, neck, shoulders, low back and sciatic pain. She specializes in Swedish, Deep Tissue, Sports and Pregnancy Massages. Sandra Johnson: Sandra has 9 years of experience in California and Texas. She is very stong and specializes in Swedish, Deep Tissue, Hot Stone, Sports Massage, Shiatsu and Prenatal Massage. Her goal is to help ease the body into relaxation, so that the mind can follow. Kathy Chabola: Kathy is a certified therapist with 18 years of experience. Her passion is helping people release pain and feel a sense of peace and relaxation. She uses a variety of techniques, including Swedish, Deep Tissue, Lymphatic drainage, soft cupping and prenatal massage. She also specializes in neck pain, sciatic pain and low back issues. Breanna DeLair: Breanna has worked in the Desert doing Massage for 5 years. She specializes in Deep Tissue, Sports Massage, Aromatherapy and more. She has worked with many golf and tennis players. 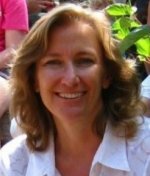 Sandy Francis: Sandy has over 20 years of experience in massage and as a physical therapy assistant. She has a wide variety of training and experience, including specialties such as: Acupressure, Aromatherapy, Cranio Sacral, Deep Tissue, Myofascial Release, Trigger Point, Stretching, Fibromyalgia and more. Her goal is to improve the client’s physical issues, as well as instill a send of well-being and relaxation. Dianne S.: Dianne has over 18 years of experience with 500+ hours of training. She studied at the Southern California school of Massage plus additional workshops, such as the Michael Young Muscle Release Techniques. She specializes in Pregnancy Massage, Relaxation and Deep Tissue Massage and uses a combination of styles as needed in hermassage sessions. Brian Bradford: Brian is a certified massage therapist with 20 years of experience. He truly enjoys his profession and the wonderful gift he is able to provide for people. He uses several massage styles in his treatments, including Swedish Massage, Deep Tissue Massage, Sports Massage, and Reflexology. He finds that blending these techniques creates a nice combination of relaxation and therapeutic benefit. His massages are geared toward the restoration of balance in the muscles and connective tissue throughout the body. Muscle tension, lack of exercise, and over-exertion can all create a patterning effect in our bodies that causes stiffness, pain, and immobility. Jay Nelson: Jay has 26 years of experience as a Massage Therapist/Holistic Health Practitioner with extensive training. Specializing in; neck pain, low back pain, restless sleep, sciatica, carpal tunnel, tennis elbow, fibromyalgia, plantar fasciitis, and lymphatic drainage. Jay has worked at many resorts and clubs in the area over the years and also specializes in working with Multiple Sclerosis clients. Other Massage Staff includes: and other therapists as needed.